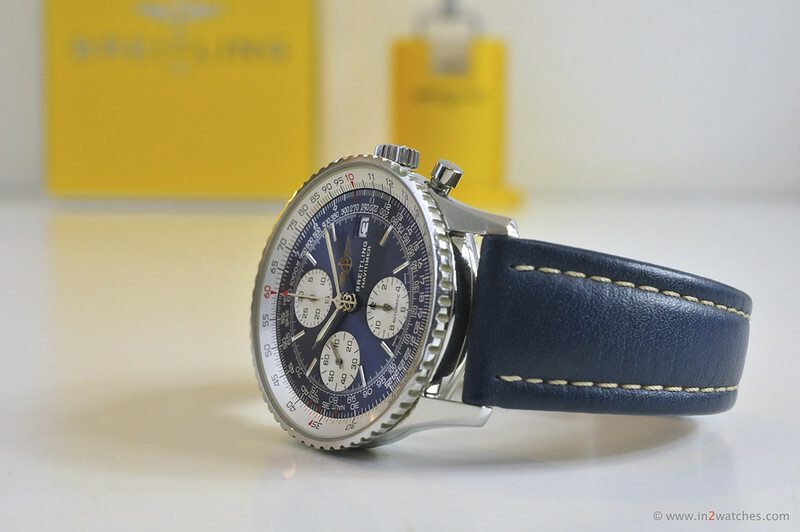 This is a real classic, the Breitling Old Navitimer with reference A13322. This watch was sold new in 2003 through a Breitling dealer in The Netherlands. The watch is supplied even more complete than new. 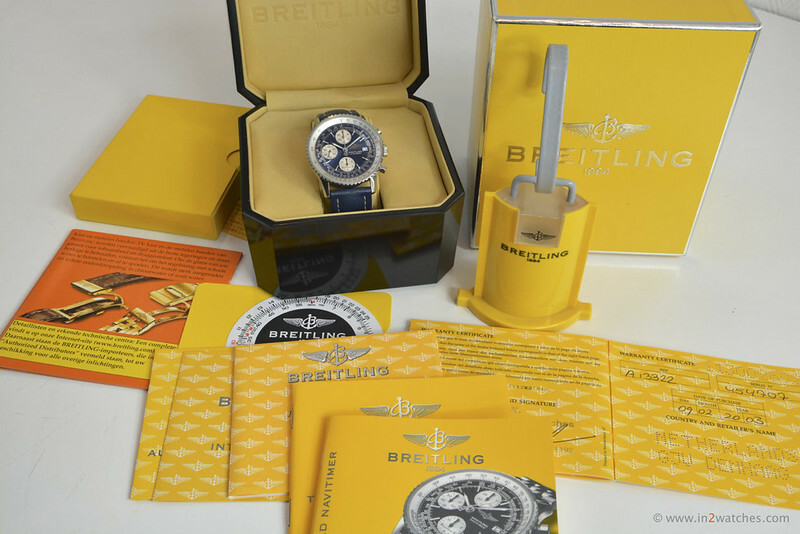 Besides the original inner- and outer box, all documentation and paperwork, we include an original Breitling watch stand from 2003 as well. The condition of the watch and original Breitling strap is extra fine, with no annoying clearly visual marks of wear. This beautiful watch with a distinctive blue-colored dial and strap is a joy to wear. Price: € 2.350,- (plus S&I). This watch is now SOLD. 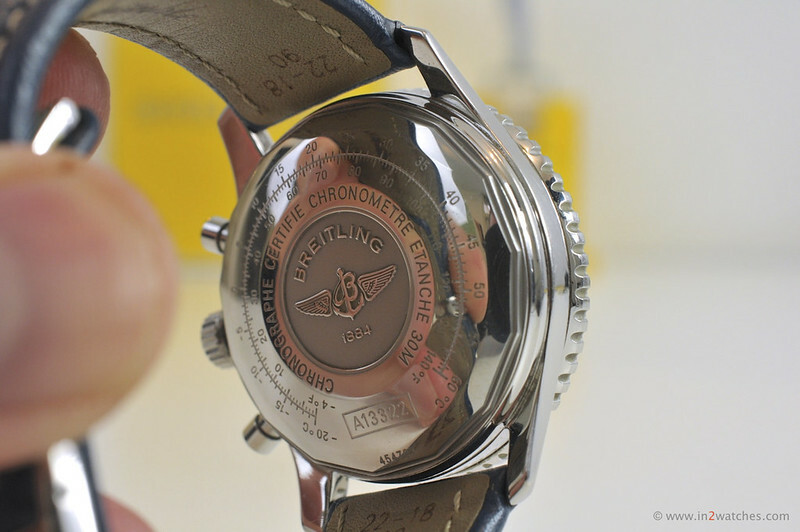 Please have a look at an extensive photo series at the Breitling Old Navitimer gallery (please use your arrow keys to browse). This entry was posted on February 5, 2014 at 14:03 and is filed under all, sold. You can follow any responses to this entry through the RSS 2.0 feed.